A Macworld reader reports that he got his bent iPad Pro replaced, but only because he had AppleCare+. 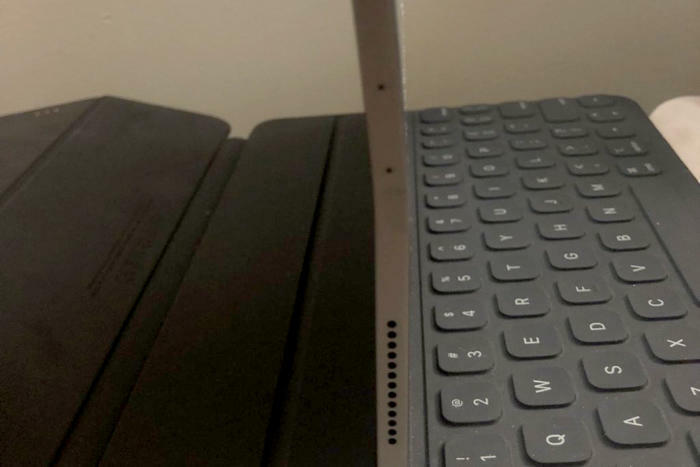 Yesterday I told the story of Zach, a Macworld reader who discovered that his 2018 11-inch iPad Pro was starting to bend down the middle after a month of normal use. We reported that Zach was on his way to see if Apple would replace the device, particularly in light of Apple’s acknowledgement that some 11-inch iPad Pro models would be bent from the moment you opened the box, owing to a problem with the cooling process during manufacture. This was normal, Apple seemed to suggest in an unquoted statement, and as such Apple wouldn’t replace units outside the first 14 days. I’m happy to report that on Friday, Zach was able to get a replacement iPad Pro. I’m not so happy to report, though, that he had to pay a $49 service fee in order to get it. Importantly, Zach has AppleCare+, so it’s doubtful that he would have been able to get that replacement without it. This is in line with earlier reports on forums and subreddits, which claimed that Apple was charging a deductible on the assumption that bent iPads were the result of accidental damage. I have no way of proving this is the case, but Zach says he was always careful with his iPad Pro and that he never even took it out of its Smart Folio Keyboard Case. For that matter, the "accidental damage" argument falls to shambles in light of Apple’s own admission that some iPad Pros were bent straight out of the box. Under such conditions, it’s not difficult to believe even subtle warping would grow more pronounced through everyday handling. It’s also worth noting that Zach wasn’t able to get his new iPad Pro right away since it was out of stock at the Apple Store he visited. That’s a shame, as I would have liked to have known if the new iPad Pro was bent as well. Frankly, I was more annoyed by the $49 fee than Zach, who told me in a Twitter message that he’s "satisfied" and that it "worked out about as good as I could imagine." Still, much of Zach’s relief springs from his initial fears that Apple wouldn’t replace the device at all. "I mean, I’d rather not pay it but the service fee is fine," he said. "I guess me going in and expecting them not to replace it without a bigger fee made it more palatable, but I probably shouldn’t have had to pay anything for a problem I didn’t cause myself." Apple, for its part, is maintaining that the new iPad Pro is a quality product. In an email to a 9to5Mac reader, Dan Riccio, Apple’s chief of hardware engineering, emphasized that the new iPad Pro’s flatness specification is "tighter than previous generations" at 400 microns, which is less than half a millimeter. Apple claims this won’t change much after normal use of the product. Riccio also said that the statement published by The Verge was not an official statement and Apple would be sending one out later today. Macworld has asked Apple for a statement as well. As I said in my review of the device, the iPad Pro is a fantastic machine. I’ve yet to see ours bend. But we’re now at the point where many of you will either be getting or receiving one as a gift for the holidays, and it’s important that you keep these issues in mind. If you’re buying a new iPad Pro over the next couple of days, I highly recommend buying AppleCare+ as well. If you’re getting one as a gift, I highly recommend that you immediately check it to make sure it’s not bending. Otherwise you might find that Apple will make you pay for what appears to be its own mistakes.